When Steve and Stacey Fenton told their family and friends that they were retiring to Cuenca, Ecuador, the reaction was almost unanimously positive. “They want us to have a fun-filled retirement while we’re still young and in good health,” Steve says. Steve and Stacey hail from the Cascade foothills of Washington State where they lived for 18 years, so it’s easy to see why they fell in love with the verdant Andes mountains and the four different rivers that run through and around the city of Cuenca. 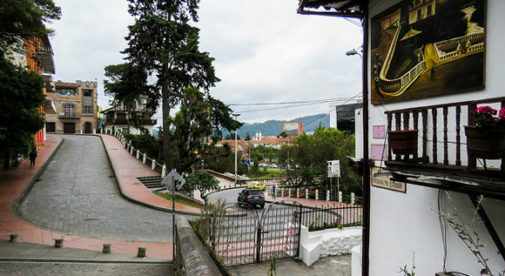 When the couple first did an internet search on the top 10 places in the world to retire, Ecuador kept rising to the top, so they made an exploratory trip in December 2015 and moved to Cuenca just two months later, in February 2016. “We plan to make extended trips back to the States each year, because we have 10 grandchildren with number 11 on the way,” Stacey explains. But with Magic Jack, FaceTime, and Skype, the couple finds that keeping in touch is easy. “We’ve always shared a common interest in history and cultures around the world, which explains our fascination with Cuenca,” Steve explains. The couple loves the Andean culture with its rich and varied history, the stunning colonial architecture with its majestic churches, graceful ironwork balconies, charming cobblestone streets, and an endless variety of international restaurants. Although Steve is semi-retired and works in a limited capacity as a consultant specializing in environmental health and safety, they both enjoy a stress-free and slower pace of life…something they didn’t have in the States. “We love sitting in the peaceful gardens of Parque Calderon or relaxing on our terrace overlooking the Tomebamba River, watching the sun set over the Cajas mountains,” says Stacey. Although the Fentons are newbies in Cuenca, they’ve been surprised at how quickly they’ve settled in. “The adjustment period was actually quite fast in part due to the kindness of the Ecuadorian people,” Stacy explains. The couple is also impressed with how active the local people are—jogging, running, and participating in local Zumba classes around the city. “We really love the energy and enthusiasm of our new family,” Stacey adds. Steve and Stacey are active people and enjoy being able to walk everywhere in the city and if it rains, they can take a bus for 25 cents or a taxi ($1.50 to $2) to almost anywhere in Cuenca. “We love everything about our new life here and have absolutely no regrets about moving to Cuenca. It’s been the best decision we’ve ever made,” says Steve. Stacey and Steve aren’t just following their dreams…they’re having fun doing it.